Is this beautiful or what? We have the pattern and the flannels now in stock. Yes, it may be a little early to think of flannels, but August is this week and fall follows quickly. I love it and I think this might be my next project. 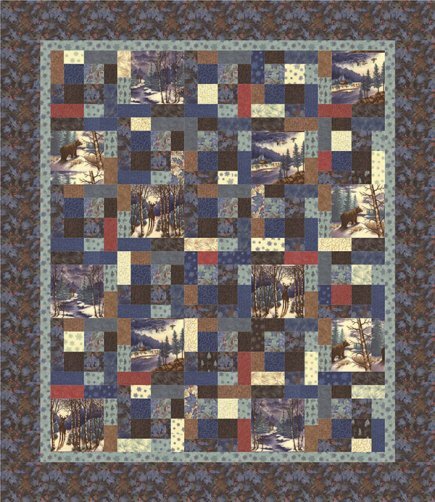 How about a class or just a quilters' gathering to make this?